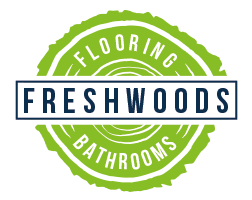 At Freshwoods we will help transform your bathroom ideas from a concept into reality. With our suppliers wide range of products we can help you find and design your ideal bathroom or if you have already found the bathroom suite you would like, we can install this for you. Or if you simply need some new tiling we can help. Regardless of the budget or the style preference we always carry out the design and installation process to the highest of standards. Using our experience, we can assist you in selecting the correct products to achieve the design you will love and enjoy. We can bring to you the latest products and alternative choices such as wallboard, digital shower controls, luxury radiators and much more. In order for a job to run more smoothly we will safely remove and dispose of any existing wall and floor tiles, bathroom suites and other materials. As well as performing all of the prep work from rendering, screeding, plastering and joinery work. At Freshwoods our design and planning will ensure that your bathroom has the most suitable layout for yourself by making the most of the space available and factoring in any lifestyle requirements. We offer tiling for both bathrooms and wetrooms and can lay any form of tile whether that be ceramic, porcelain, travertine, limestone, slate, marble, mosaic etc. As we have the professional tools and skills needed to achieve a high quality detailed end result. We offer a comprehensive bathroom plumbing service which covers every aspect of bathroom plumbing, including shower plumbing and toilet plumbing. We also provide an electrical service that entails all the necessary components needed in a bathroom whether that be spot lights, LED mirrors, underfloor heating, digital shower control, digital bath fillers etc. All bathroom accessories fitted, included towel rails, mirrors, units etc. We also offer a decoration service. We are a Father and Son team based in Winscombe, North Somerset and work within a 50-mile radius. We specialise in all aspects of timber flooring as well as bathroom and wet room fitting. We source and supply all of the materials, but should you wish to choose we will fit materials from your chosen supplier. We take pride in always providing customers with the highest standard of work, this is thanks to us having over 30 years’ experience of working in this industry.